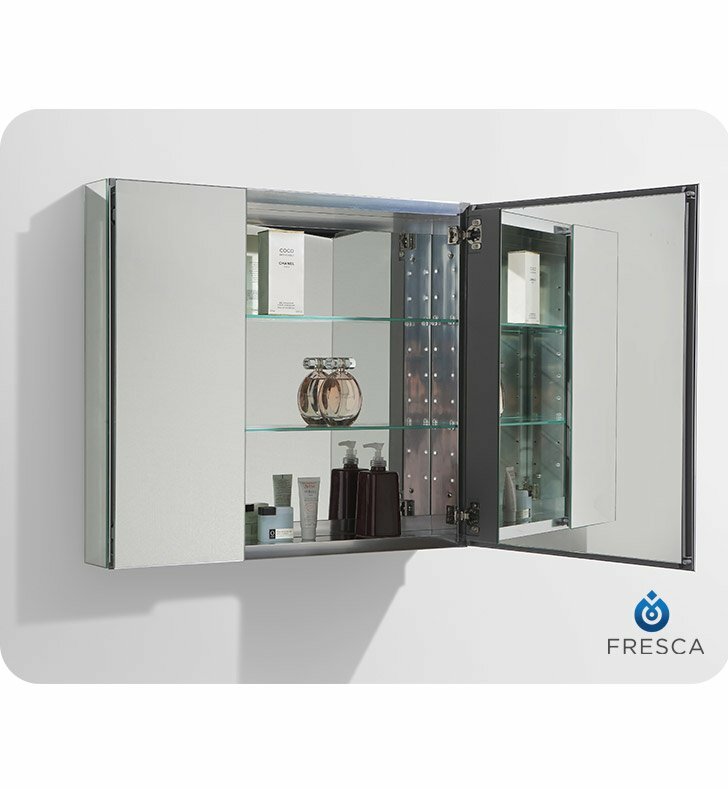 This contemporary frameless Fresca 30” Wide Bathroom Medicine Cabinet with Mirrors is designed to create a harmonious look that beautifully complements your décor style. 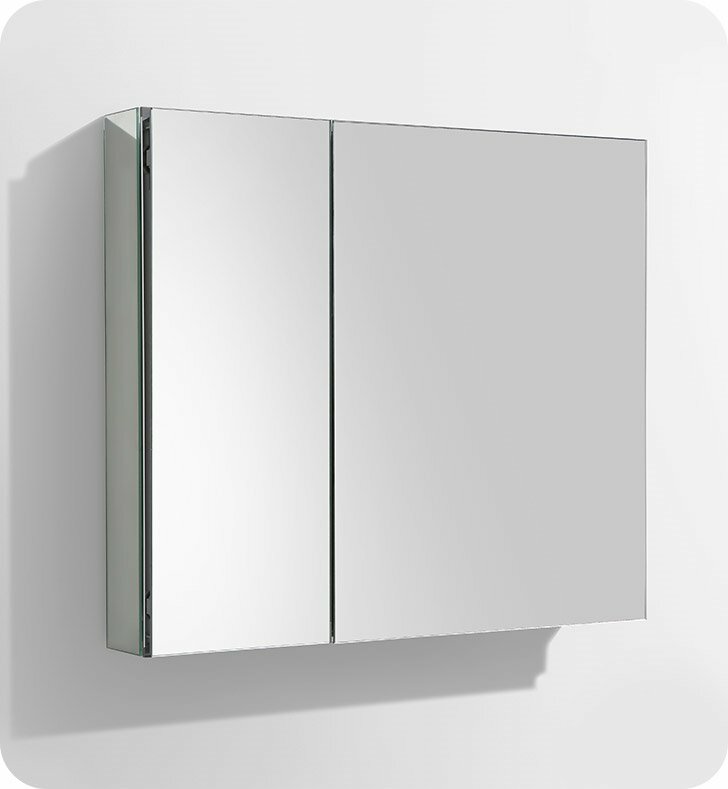 Every inch of this ultra modern frameless bathroom medicine cabinet is mirrored to reflect light and give your bathroom a fresh and contemporary feel. With two doors mirrored inside and out, this spa-like bathroom medicine cabinet makes it easier than ever to get ready in the morning. You can keep an eye on your appearance while accessing daily necessities from within the cabinet. The interior wall of this FMC8090 cabinet is also mirrored and has two adjustable tempered glass shelves that can accommodate items of varying heights. An anodized aluminum frame creates a moisture and dust resistant interior. 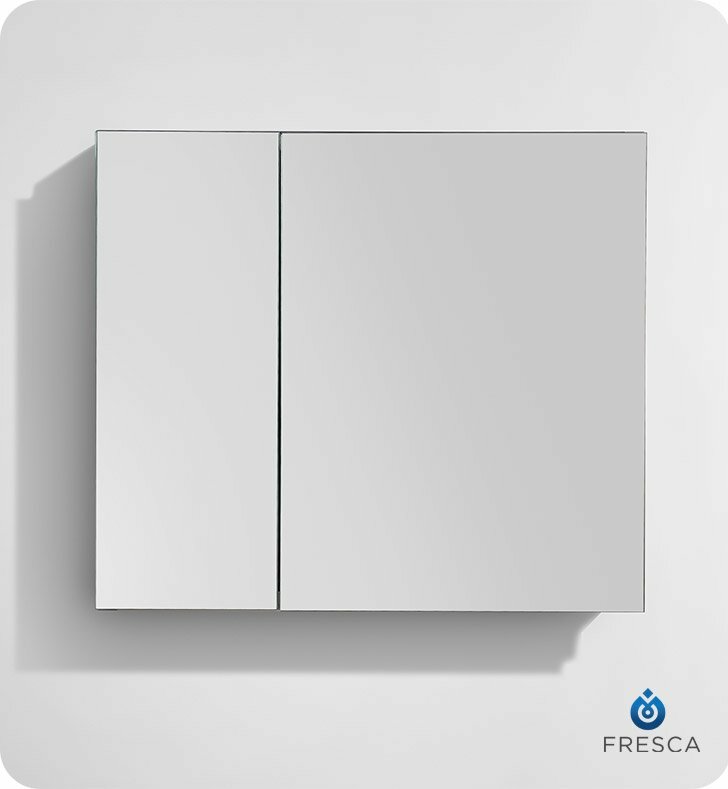 Fresca’s 30” Wide Bathroom Medicine Cabinet with Mirrors measures 30” wide x 26” high x 5” deep and can be installed recessed or surface mounted. Dimensions: W 29 1/2" x H 26" D 5"